The University of Passau coin cabinet has joined Nomisma through the NUMiD network of German university museums. 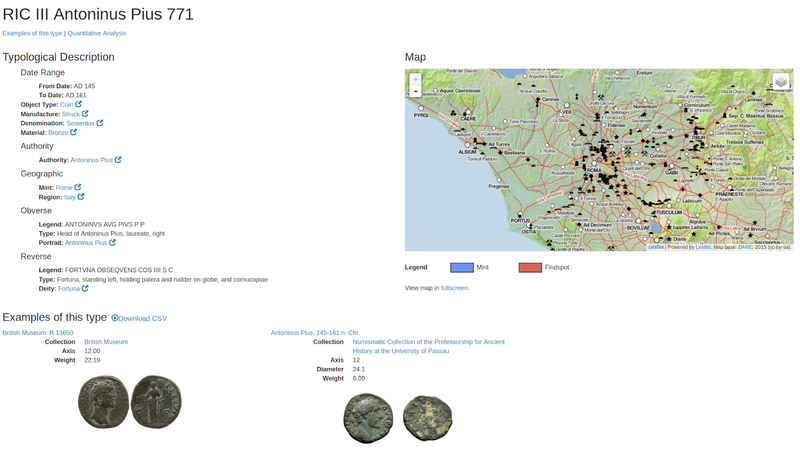 It is providing data for 70 Roman Imperial coins in its collection, becoming the 30th contributor to Online Coins of the Roman Empire. 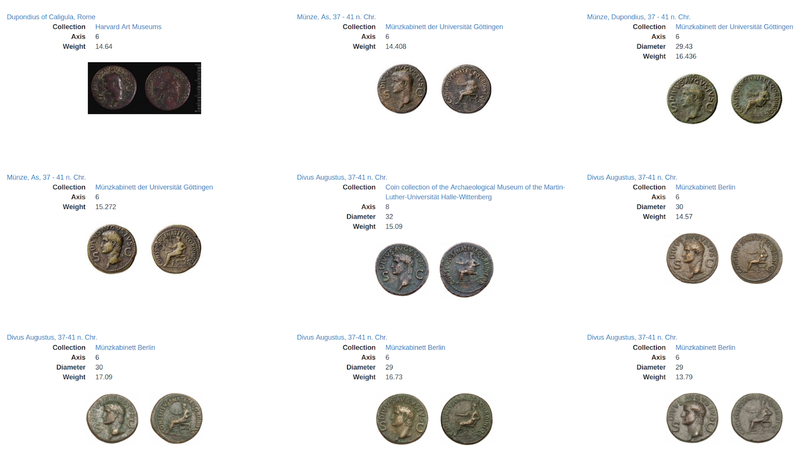 The latest member of the German NUMiD consortium of university coin collections has been integrated into the Linked Ancient World Data Cloud: The Numismatic Collection of the Archaeological Seminar of the Philipps-Universität Marburg. The University of Marburg's contribution of 23 coins spans four type corpora in the Roman and Hellenistic domains: OCRE, CRRO, PELLA, and Seleucid Coins Online. SCO 1429 is a great example of the research value of these projects and the possibilities that arise as a result of collaboration between large and small numismatic collections. There are are two physical specimens of this coin type: one housed at the ANS and the other in Marburg. 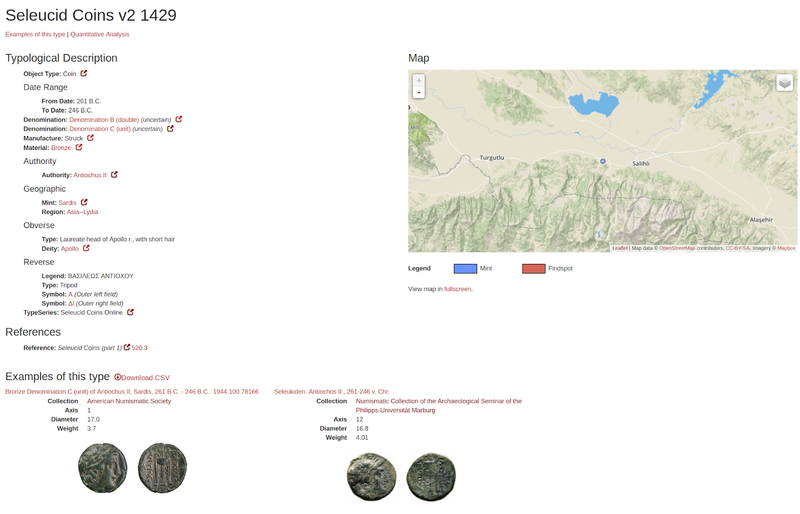 Together (and with other eventual additions), these specimens will help form a more complete picture of this typology by facilitating more accurate analyses of measurements and geographical distribution.